2016 Stefansson Memorial Lecture: "Managing the Wilderness: Arctic Perspectives." Hugh Beach, Professor Emeritus of Ethnology, Uppsala University, Sweden. 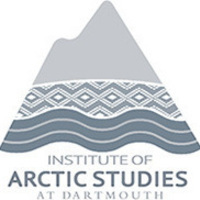 The annual Stefansson Memorial Lecture is delivered in commemoration of the explorer and anthropologist Vilhjálmur Stefansson - his life, work and vision for the Arctic - by the Stefansson Arctic Institute in Akureyri, Iceland, in collaboration with the Institute of Arctic Studies at the Dickey Center for International Understanding at Dartmouth College. Friday, 11/4, Panel discussion, 1:00pm, 041 Haldeman, "People, policy and adaptations to rapid change in the Arctic: The role of multidisciplinary research and international collaboration for sustainability." Hugh Beach, Uppsala University, Sweden; Niels Einarsson, Director, Stefansson Arctic Institute, Iceland; Astrid Ogilvie, Institute of Arctic and Alpine Research (INSTAAR) University of Colorado at Boulder and the Stefansson Arctic Institute, Iceland; Ross Virginia, environmental studies faculty and Director of the Institute of Arctic Studies at the Dickey Center for International Understanding at Dartmouth. Hugh Beach is Professor Emeritus of Ethnology, particularly non-European, at the Department of Cultural Anthropology and Ethnology. He has published widely on Saami (Lapp) and Circumpolar Studies, pastoralism, global environmentalism, indigenous rights, and the effects of Chernobyl disaster. His books include Reindeer-Herd Management in Transition(Uppsala University, 1981), Post-Soviet Transformations: Politics of Ethnicity and Resource Use in Russia (edited with Dmitri Funk & Lennard Sillanpää, Uppsala, 2009), A Year in Lappland: guest of the reindeer herders (U of Washington Press, 2001) and Polar Peoples: self-determination and development (Minority Rights Group, 1994). "I have lived among Sámi reindeer herders for extensive periods of time in Sweden, Norway and the Kola Peninsula of Russia, have studied the determinants of change in reindeer herding practices and also the effects of the Chernobyl nuclear disaster, have worked as a reindeer herder in Alaska with the Inuit NANA Regional Corporation herd, and been chairman of the Swedish Minority Rights Group and expert advisor on Sámi affairs to Sweden’s first two ombudsmen against ethnic discrimination. Because of a general systems perspective inspired by Bateson, my work has been devoted to jerking the studies of reindeer herding away from a dominance of descriptive “culturology” of traditional ways with accompanying historical categorizations into analytical forms of study based on the recognition of embedded hierarchies of resource/consumer relationships and property regimes to enable comparative work across time and space."